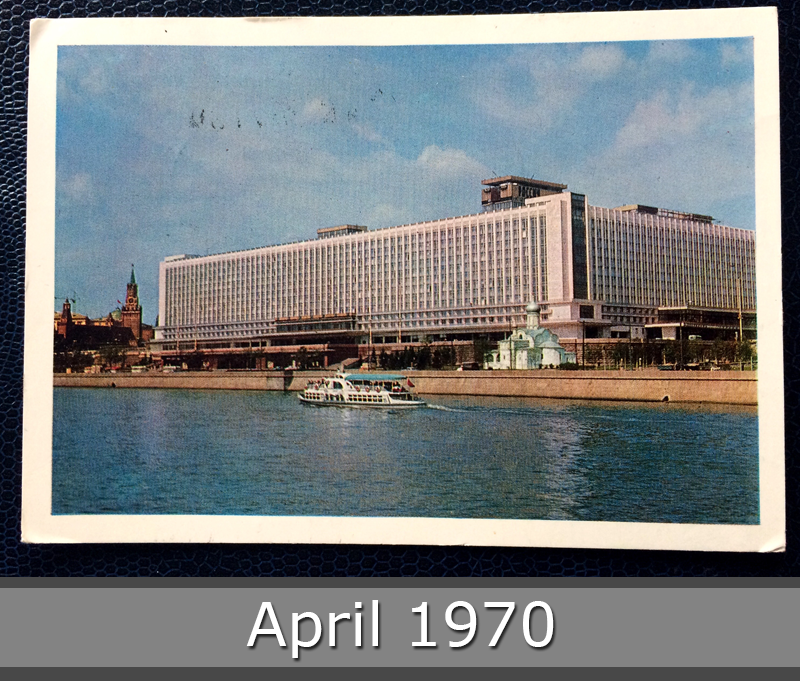 The Rossiya Hotel, was a large five-star international hotel built in Moscow from 1964 until 1967 at the order of the Soviet government. It was registered in the Guinness Book of Records as the largest hotel in the world until it was surpassed by the Excalibur in Las Vegas, Nevada in 1990. It remained the largest hotel in Europe until its 2006 closure. The 21-storey Rossiya had 3,000 rooms, 245 half suites, a post office, a health club, a nightclub, a movie theater, the Zaryadye, and a barber shop, a police station with jail cells behind unmarked black doors near the barber shop, and the 2500-seat State Central Concert Hall. The building could accommodate over 4,000 guests. Most of the rooms were 11 square metres (120 sq ft). 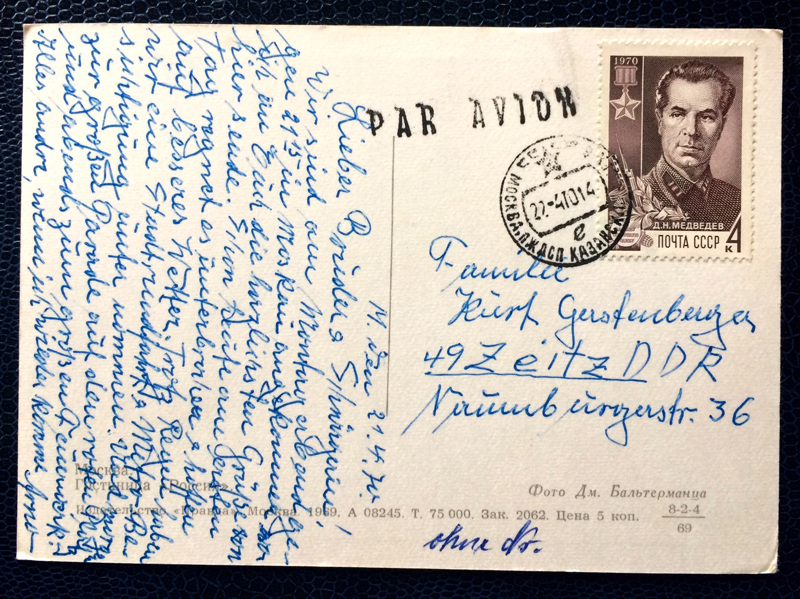 This postcard from year 1970 goes to Zeitz in East-Germany.